Our Lil Monkey program is open to all children walking age through 6 years old. We offer 30 min parent participation classes for children under 3 years of age which focus on physical, cognitive and social development. These classes are designed to help preschoolers with coordination, strength, focus, and exploration all while incorporating basic gymnastics movements and props. 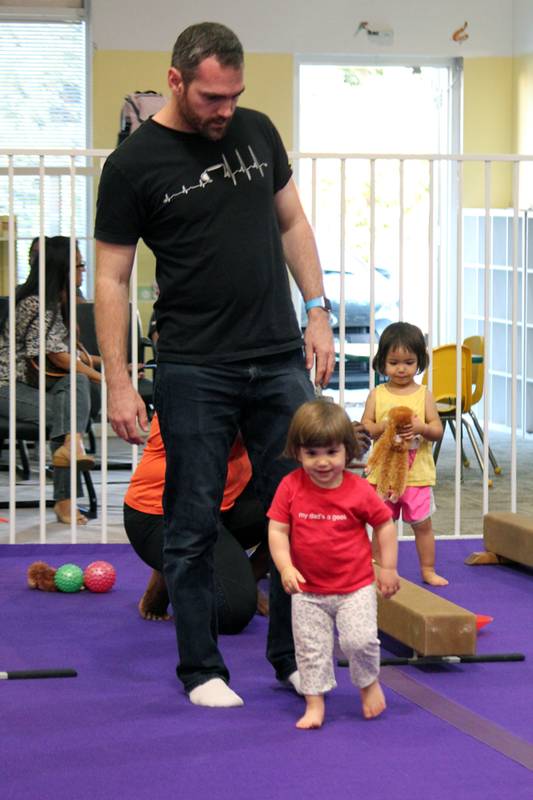 Monkey & Me and Lil Monkey 2’s: These half-hour Parent participation classes are just the right amount of time to let your little ones exert their energy in a clean and safe environment while learning gross motor development and strength along with colors, numbers, and shapes. Our Lil Monkey classes for ages 3-5 are 45 minutes long and the next step to independent learning and focusing. 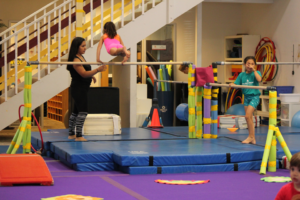 Students are progressively challenged with basic gymnastics skills, strength, flexibility as these classes are designed to develop body awareness and focus. 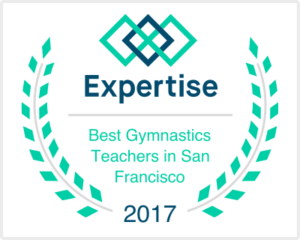 Students who show potential in the sport of gymnastics may be offered our 50 minute Super Monkey class consisting of more advanced skill training and conditioning. Super Monkeys are expected to be focused and eager to learn as students from this class may be selected for our Junior Olympic or Xcel Team tracks. 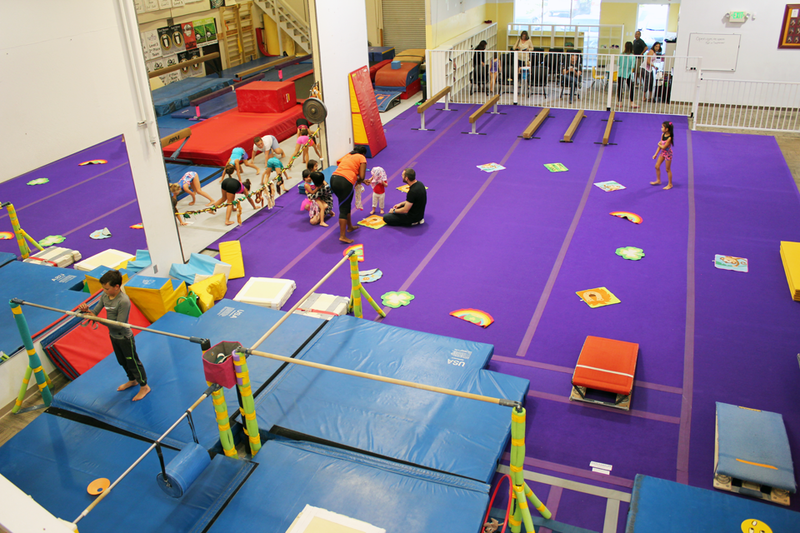 For our preschoolers with extra energy, we also offer drop-in open gym session called JUNGLE GYM. These sessions are great supplements to weekly classes and allow our budding gymnasts to practice, socialize and let out their boundless energy. Jungle Gyms are offered Saturdays 12pm-1:30 pm currently. Register at the front desk and don't forget to ask for your frequent user punch card!